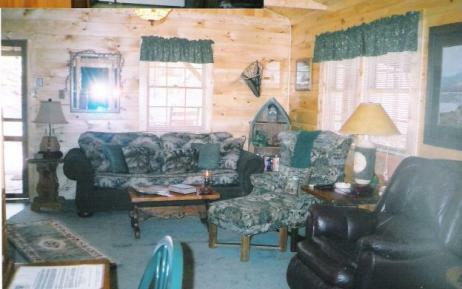 If your passion is fishing then OLD BUCK Cottage is the place for you! 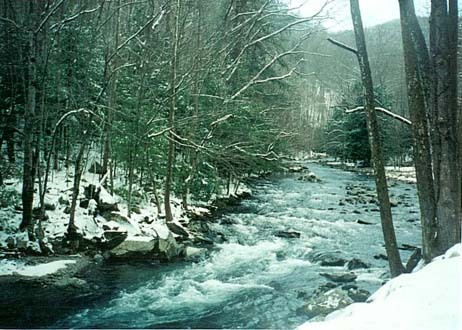 It's location on the Little Pigeon River makes Old Buck a trout fisherman's dream! 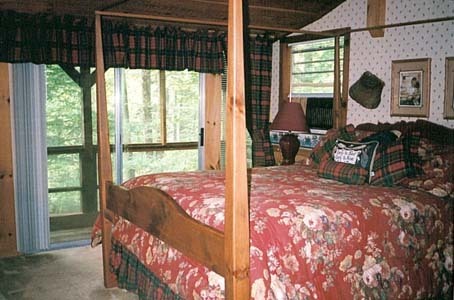 Old Buck Cottage sleeps from 2 to 6 people comfortably. 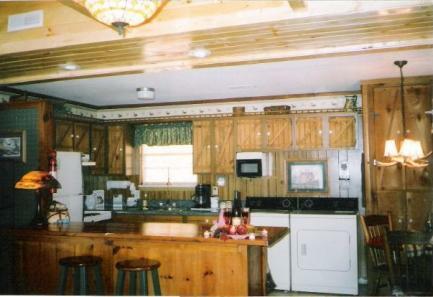 The kitchen is fully equipped and there is a washer and dryer for your added convenience. 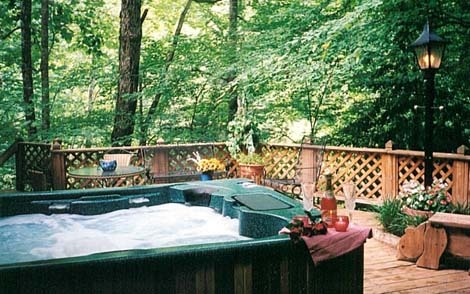 Old Buck Cottage has two bedrooms and one full bath with a whirlpool jacuzzi tub and a queen sleeper sofa. 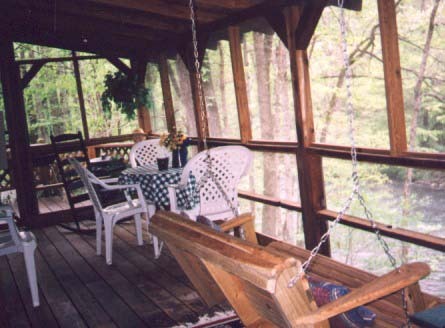 A screened in porch complete with rocking chairs adds to your enjoyment as you rock your cares away, letting them float away on the peaceful waters beside your cabin. 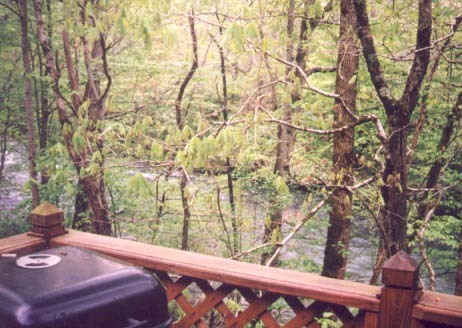 Old Buck Cottage features a large hot tub on the outside deck which overlooks the Little Pigeon River. 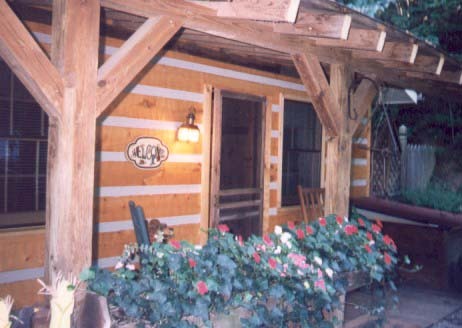 and this, it is easy to see why Old Buck Cottage is one of our most popular cabins. 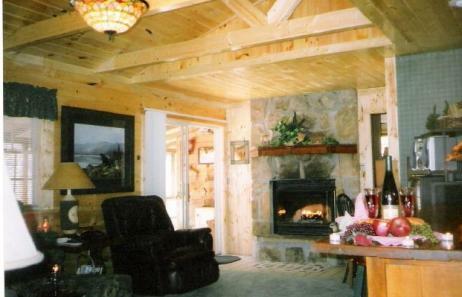 To make reservations for Old Buck Cottage or any of our other cabins, Call us now!